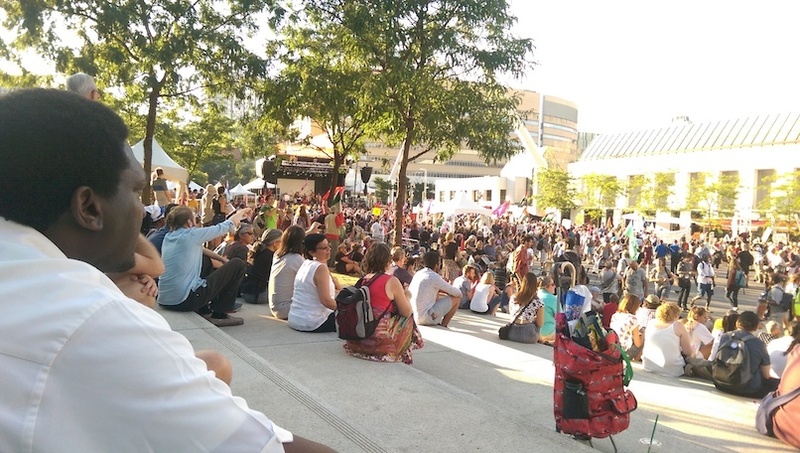 The forum kicked off on August 9 with several hundred people marching from La Fontaine Park to the streets of Montreal. 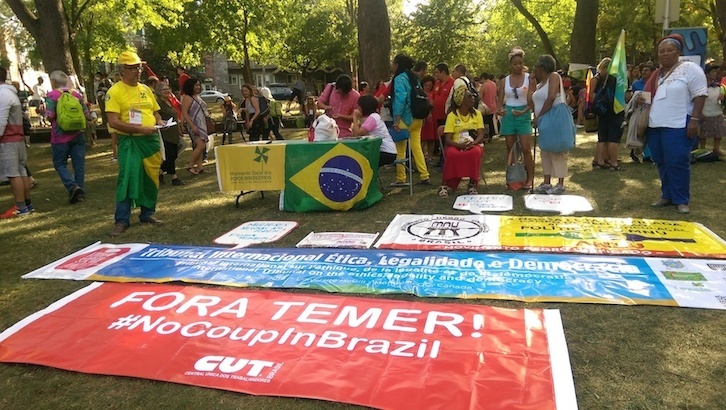 Started in 2001 in Brazil, The World Social Forum (WSF) is the largest gathering of civil society to discuss and find solutions to current global problems. 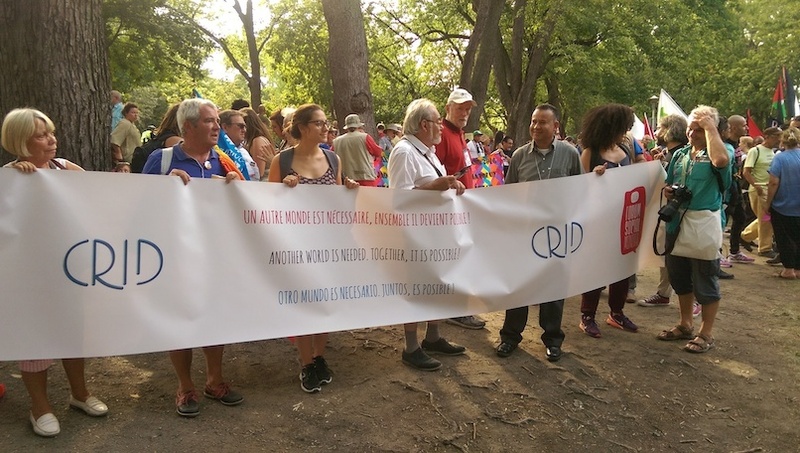 This year’s theme is: Another world is needed. Together, it is possible. Frs. 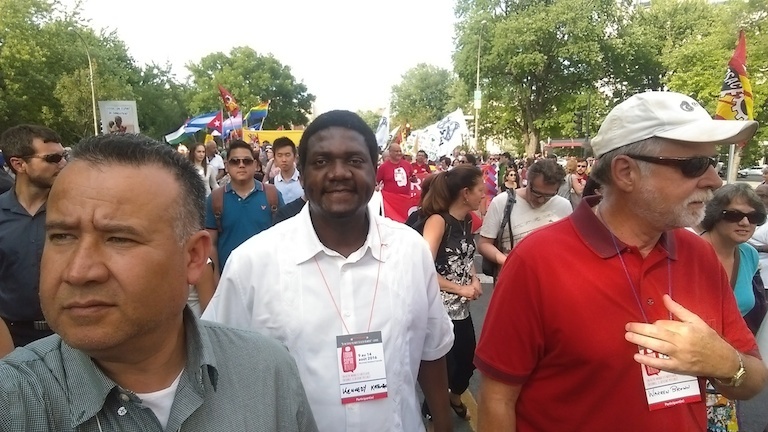 J. Antonio Ponce, OMI, Kennedy Katongo, OMI, and Warren Brown, OMI, march through Montreal with forum attendees. Fr. Kennedy Katongo, OMI watching performances on opening day of 2016 World Social Forum. Fr. 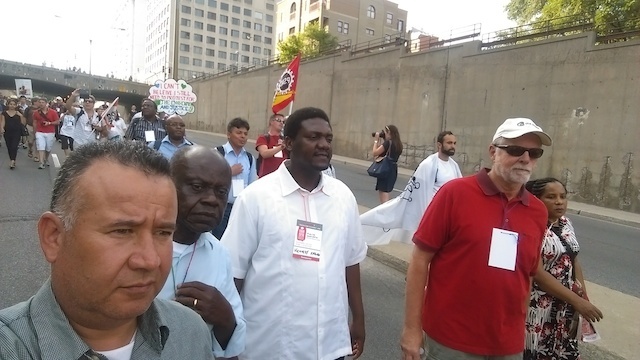 Antonio Ponce, OMI join other civil society participants at World Social Forum.